'M' made aliyah from Canada 20 years ago. Since then he has been working throughout the entirety of his time in Israel, and yet still found himself and his family living in poverty and in serious need of financial assistance. Things got so bad for 'M' that at one point a creditor had sent a mafia style thug to make an attempt on his life if he did not pay back the amount he owed. Thanks to one organization, Karmey Chessed, not only was 'M' able to settle things with that creditor, but over a long process he has been able to get back onto his feet and stop being a victim of the "cycle of poverty" as he calls it. "I got a job very quickly working in high-tech making paying a good salary by Israeli standards. But at the same time I very quickly recognized that there was a disconnect between a persons income and how much it costs to live here. I found myself and my family sinking further and further into poverty despite my salary, and I did not know what to do about it. Once a person begins to become impoverished, a nasty cycle begins which is nearly impossible to get out of. I worked and the bills and creditors kept piling up. I did not live a lavish lifestyle by any means. It was simply that no matter what I did, the bills outweighed the income. Every month, more and more came in until we were drowning. It took me about 10 years to correct my own ways and take my financial life into my own hands. People can get caught in this cycle and remain victims of the cycle forever, relying on charitable organization their entire lives to help them out as they never manage to break out of the cycle. Once I realized that I needed to completely manage my own financial life, I found Karmey Chesed, and just as I was correcting my own life, they were there to help smooth things over. Other organizations force families to adopt a solution that enables them to break out of the cycle of poverty on paper but provide no help with the stress of creditors and bills. Hence the emotional trauma of that climb can be overwhelming for many who are stuck in the cycle. 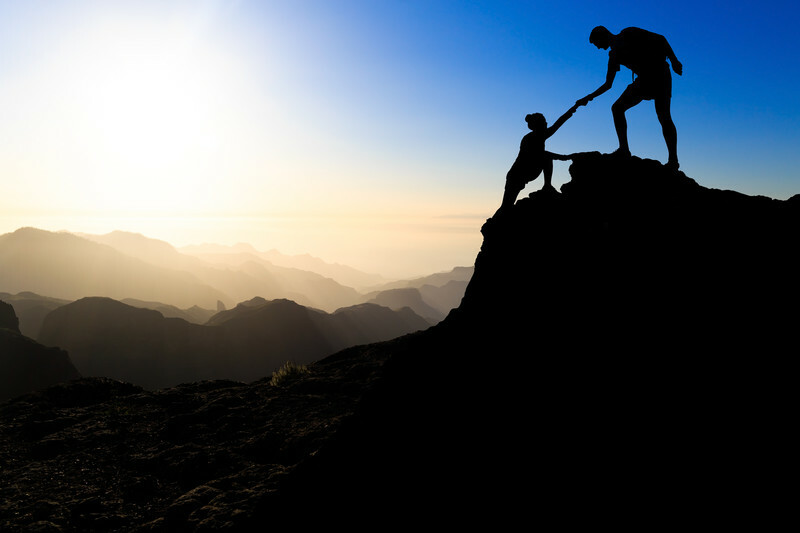 Karmey Chesed is there to ease the pain and help a person make that climb themselves. My story is one of success. I was able to break the cycle of poverty but I would not have been able to do it without the help of Karmey Chesed. They provided help with emergency cash, dealing with creditors, arranging for discounts when we needed them, and helping out in any other way that they could. They arranged to help lower the costs of performing Jewish rituals or holding family celebratory events such as marriages or the birth of a new child which by us were already extremely modest affairs, but nevertheless cost something. Karmey Chesed often will call a creditor and describe the case by case situation. This could be a private creditor or a utility company. They talk to the creditor to calm them down, and try to get them on board with helping the person out of their financial crisis in order to allow them to pay back what they owe. They do this by either buying more time or arranging a discount on behalf of the debtor and reaching an understanding with the creditor. They often act as a guarantor on the debt in the mean time. I remember when the founder of Karmey Chesed even organized a meeting between myself and a donor volunteer who helped me out financially. The organization also provided us with food deliveries, and sometimes even organized a cash influx. What really amazed me was how Karmey Chesed was always ÃƒÂ¢Ã¢â€šÂ¬Ã‹Å“hands on' and actively involved in helping us. They followed up on us regularly to see if we were in need of any more help. Karmey Chesed is an organization that is dealing with the day to day struggles that families around Israel have. They help a family out until they are able to stand on their feet. One of the things that is special about them is that they are willing to help anyone in Israel regardless of their affiliation. It is an organization with heart that really cares and is dedicated to the needy of Israel wherever they may be. For Karmey Chesed this is not about pride or trustees or any board. It is about the individual and the family that needs the help, and that makes a huge difference. You really feel that they care, and that is the single greatest thing about the organization. Karmey Chesed is very caring. With the heartfelt empathy that we received it felt like they were being a friend, and they were. They were there for the long haul and if anyone out there can help them they will be doing a great deed in line with God's commandments of helping an organization that cares for all the Jewish families in need in Israel." The time period around the holidays is one of the most difficult times for impoverished families and individuals. It is often a time when there are exorbitant expenses and no cash to cover them. Karmey Chesed is often requested to intervene on behalf of the families in need to a much greater extent during the holiday season which is almost upon us. "We try our best to provide for everyone during this time," explained Aryeh Weingarten, founder and director of Karmey Chesed, to Breaking Israel News. "We do what we can, and pray that God will allow us to help everyone according to their needs."